Matwork in a class environment is just part of the whole system of exercises that Joseph Pilates created and remains an excellent means of doing pilates. However, doing pilates in a 1:1 or small group setting allows for both more flexibility to suit your schedule and more options to suit your body using equipment and props chosen to help you get more out of it. The originator of pilates – Joseph Pilates – mostly worked one-to-one with his clients, adapting his method to suit each individual. In my home studio near New Inn, you may use the reformer, tower, ballet barre, arc barrel, spine corrector or the most fluid of all… an Oov. The reformer is the original and largest piece of pilates equipment. For more information, see here. Whether you someone who hasn’t exercised in years or someone with a particular injury (recovering from hip or knee replacement, for example), I have the knowledge and the equipment to challenge or help you to recovery. Whether you are training hard at some sport, someone who hasn’t exercised in years or someone with a particular injury (recovering from hip or knee replacement, for example), I have the knowledge, experience and tools to challenge or help you to recovery and optimal performance. Why pay more for one-to-one pilates? One-to-one pilates is the best option if you are recovering from surgery or an injury. Once you have come through the initial recovery phase with your doctor and or physiotherapist (typically 10 weeks), pilates can maintain or restore flexibility, strength, muscle balance, proprioception and overall fitness during healing. (Medical clearance is required post-surgery). Perhaps you have some other specific need – you may need to need to concentrate on relaxing your neck and shoulders or on loosening your hamstrings, for example. Maybe you just need more individual attention than is possible in a group mat class. Even if you are fit and healthy, taking a few one-to-one sessions is highly recommended before joining a group class. This is especially the case if you have not done pilates or yoga before but have focused on, say, field sports, aerobic or gym work. It also works well, if, for example, the timing of the intermediate class suits you better than the timing of the essential level class and you want to come up to speed with the essence of the exercises. What happens in private pilates sessions? First, I assess your posture, history and movement patterns. I ensure that you fully understand and can embody the pilates principles when of essential level before you attempt to progress. I choose and teach you specific exercises that best suit your individual body’s needs. Ideally, you commit to five weeks at least. I also recommend and teach you movements that you should do in-between sessions. 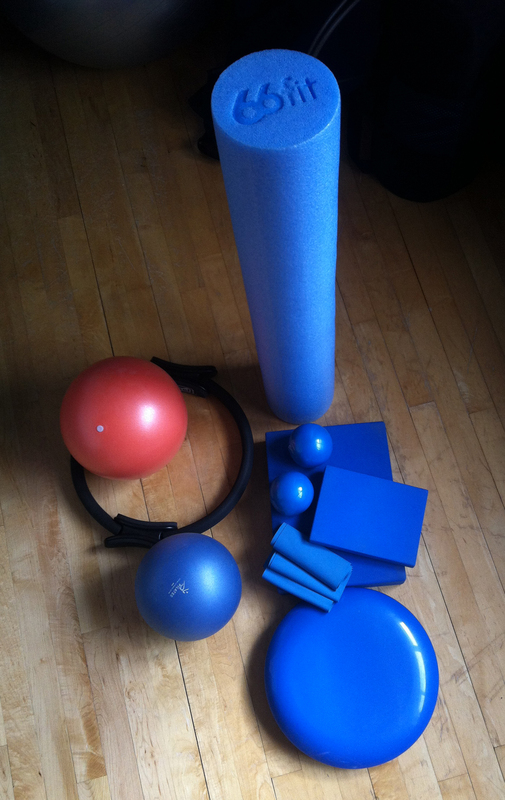 Some of the small equipment I use in my classes. 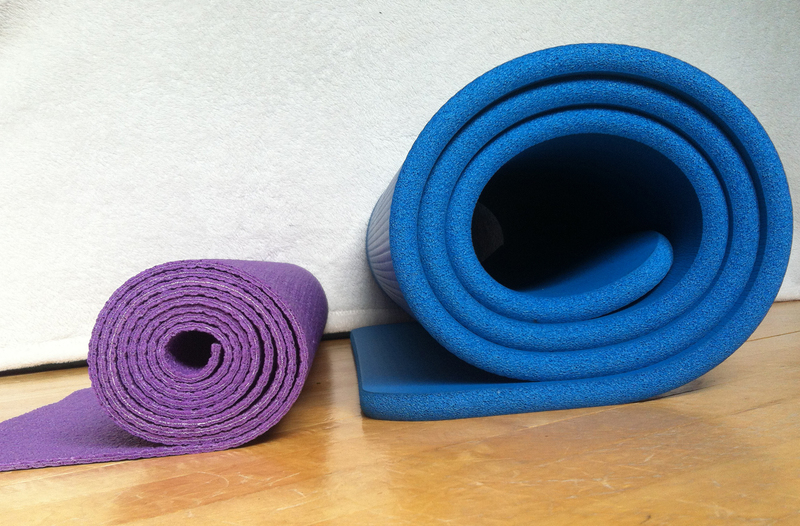 The difference between a yoga mat and a pilates mat.